In a fit of procrastination last year, I decided that I was going to start gardening. And like all good proctrasti-hobbies, I launched into it full of enthusiasm that I was going to grow ALL THE THINGS. While that initial burst of enthusiasm passed, I was left with the realisation that I actually like having plants in and around the house. 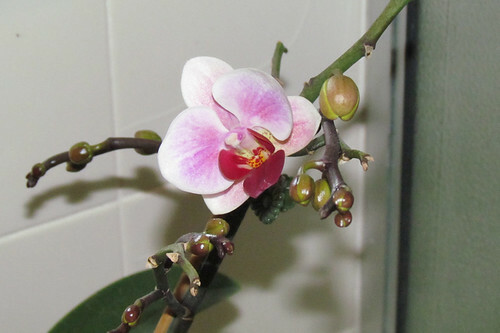 I've downsized the collection through natural selection (only the strongest plants can survive my watering habits) and the best winter surprise has been the surviving orchids starting to flower again. Orchids are fabulous plants - absolutely stunning to look at when in bloom, and relatively simple to care for if the conditions are kept right. They're picky, but gorgeous... the divas of the flower world. 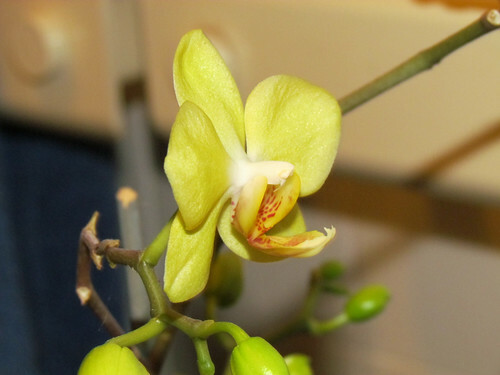 There's new spikes and buds on most of my orchid plants... so I'm looking forward to more splashes of colour soon!